The grand strategy framework discussed in previous posts helps structure our thinking but when applying it we need to apply context and judgement in order to produce an actionable plan. The first step is to determine the most feasible way to influence the other party while the second is considering how to develop and allocate the resources necessary. 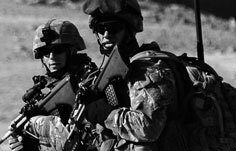 The ISAF intervention in Afghanistan is an example that illustrates several aspects of a grand strategy in practice, and it also sheds light on how success may be achieved or hampered. The initial denial grand strategy (to destroy al-Qaeda) evolved into an engagement grand strategy, in which support was given to local Afghan groups thought to be useful in the reconstruction of Afghanistan as an imperfect liberal democracy. The difficulty is that this is fundamentally a reform objective that wants Afghans to change their thinking about how they should govern and administer themselves. The objective and the grand strategy chosen are somewhat mismatched. One problem with the strategy is that the fragmented and disparate groups that ISAF forces sustain and strengthen under the current engagement grand strategy don’t necessarily share the coalition’s vision. The warlords, drug dealers, tribal leaders and multiple government actors have their own agendas and desires. Many are concerned simply with gaining wealth and power. By comparison, the other half of an engagement grand strategy, undermining unhelpful domestic groups, has gone relatively well. The Taliban have been significantly weakened, although not defeated. However, the opportunity to implement a reform grand strategy that garners Afghan support for a new governance model seems to have been lost. Given the fragmented nature of Afghan society, convincing and then supporting those local political, societal and tribal advocates who could positively influence the population’s thinking may take more time than is left. The best prospect for success for an engagement grand strategy may have been immediately after the collapse of the Taliban government, when the old ideas and ways were demonstrated to have been an abject failure. Without timely replacement by demonstrably better ideas though, the old ways are in the process of returning. Today, with withdrawal of foreign forces imminent, a denial grand strategy may be the best option to keep Afghan state stable and functioning. The ‘helpful’ domestic groups might instead be viewed as allies with a common interest in stopping the Taliban achieving its objective of regaining control of the country, rather than as co-workers towards a transformed nation. They can be armed, trained and supplied, but they are not automatically friends; these groups are in it for their own gains and this does not necessarily include fashioning a liberal democracy. A denial grand strategy that builds such a balance of power order is a recipe for civil war for as long as the Taliban receives matching supplies from their external suppliers. But it will stop the Taliban capturing the Afghan state again, and it may helpfully distract and bleed their external providers as well. The war will go on as long as others’ treasure allows—or until some internal accommodation is reached. Afghanistan will be problematic for years to come. Any solution has to provide resources for the long-term. But the resourcing approach used so far has simply deepened that initially used when Afghanistan was a short-term war of necessity. This near-term market approach allowed great use of global resources—people, money and material—without which the intervention would have been very hard to sustain. 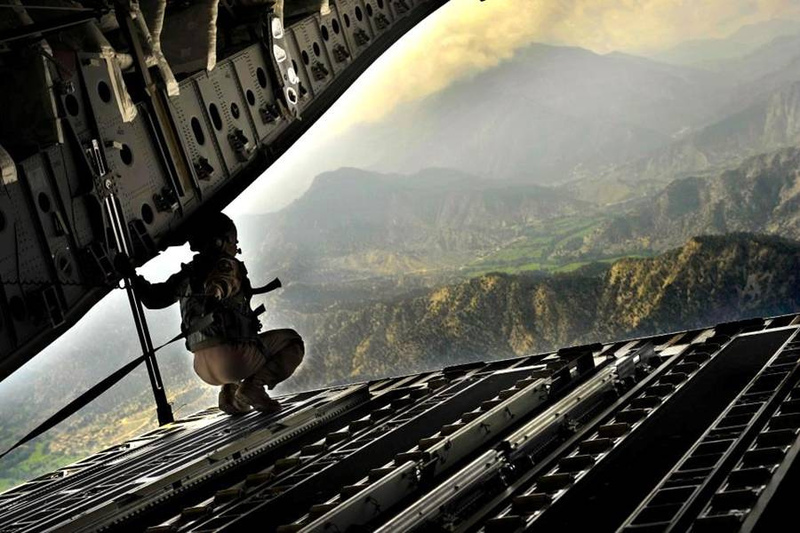 If a denial grand strategy is embraced in the future, resourcing could be changed to be a long-term managerial approach that mobilises external national economies and societies to provide money and material to our Afghan allies for the foreseeable future. With planning, an effective and efficient supply system could be put in place. If planning such a long-term drain on national coffers seems somewhat disheartening, it may also appear likewise to the Taliban’s backers. This quick outline shows the potential in taking at grand strategic view but that is a skill that is sadly neglected in current strategic planning circles. This is true in military as well as civilian organisations. The new ASPI report on military education identifies a neglect of the teaching of the operational level of war but there is an even deeper silence concerning grand strategy. This is puzzling when you think about it, because a grand strategy provides a theory of victory; it defines what the success sought is in comprehensive terms. Without this, the lower subordinate levels of strategy, the operational level and tactics lack a unifying purpose. These levels are dynamic, and evolve in response to events and actions, but they should purposefully evolve in the direction of success. Without knowing what success is, this is clearly impossible. Australian professional military education neglects the grand strategic pinnacle, stopping a level short at strategy and so missing the level that guides all. Of course, time is always an issue and only a brief introduction might be practical but neglecting grand strategy entirely seems short-sighted. While resourcing and the use of all the instruments of national power in an integrated fashion is important, the astute application of armed force is impossible without having the sound understanding of the ultimate objective that grand strategy provides. If we don’t know what success is, we may not find it. In the next (and final) post we look at responses to a rising China, a rather different case to consider. Peter Layton is undertaking a research PhD in grand strategy at UNSW. Image courtesy of Flickr user ISAFmedia.